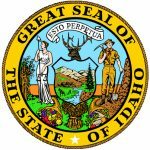 The Idaho State Judiciary will be completing the transition of their county courts to the new Odyssey system on October 9th, 2018. Once this transition is complete, the new counties will be available immediately on CourtTrax for name and case number searches. Serving a population of over 1.7 million people, the District & Magistrate Courts of Idaho makes publicly available Civil, Criminal and Probate case records. CourtTrax will provide access to all data available from the Idaho District & Magistrate Courts as their county-by-county transition continues. And as with all other CourtTrax Courts, case detail reports remain in “Saved Searches” on the CourtTrax desktop for 60 days. Results can be saved to your local drive without a time limit. If you have any questions about the Idaho courts, or any of our other products and services, contact us at customerservice@courttrax.com or give us a call: 866-643-7084 (Option 2).